Dan is originally from Quincy, IL. He has been in the car business in California since 1986. Dan moved with his family to the Mid-South in 2013 continuing to do what he loves and opened Mid South Auto Outlet. On his down time, he enjoys time with family, golfing, and his dogs. From the moment you step on our lot until the time you drive away in your next car, your buying experience with Mid-South Auto Outlet is our number one priority. We encourage you to use the expertise and resources of our sales staff; they are here to help you find the right car at the right price. Call us today at 662-874-5807 to schedule your test drive! Daniel is a California native and is currently a student at Ole Miss majoring in Finance. He has been working for Mid South Auto Outlet since 2014. In Daniels free time, he loves golfing, cooking, and is a sports enthusiast. Born and raised in Fresno, CA. She has lived in MS since Sept. 2012 and loves the South. She has worked at Mid South Auto Outlet since July 2017. In her free time, she loves cook outs, Harley Davidson's, and taking care of her 4 rescue dogs. 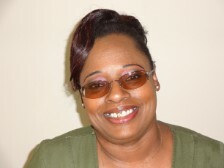 Born and raised on Byhalia, Ms. Ora has been working for Mid South Auto Outlet since the beginning 2016. In her free time, she loves fishing, cooking and spending time with her Rottweilers.